Teachers and students will have the unique opportunity to receive – for free – one of Gerry’s most notable works: his Quintet arrangement for “Festive Minor”, for the month of April (Jazz Appreciation Month). 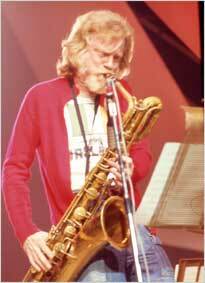 In celebration of Gerry Mulligan’s birthday, teachers are encouraged to participate in the annual concert on Friday, April 5th, by performing Gerry’s music. Photos and videos are welcome and can be posted to the Gerry Mulligan Instagram page: gerrysjazzlovers.